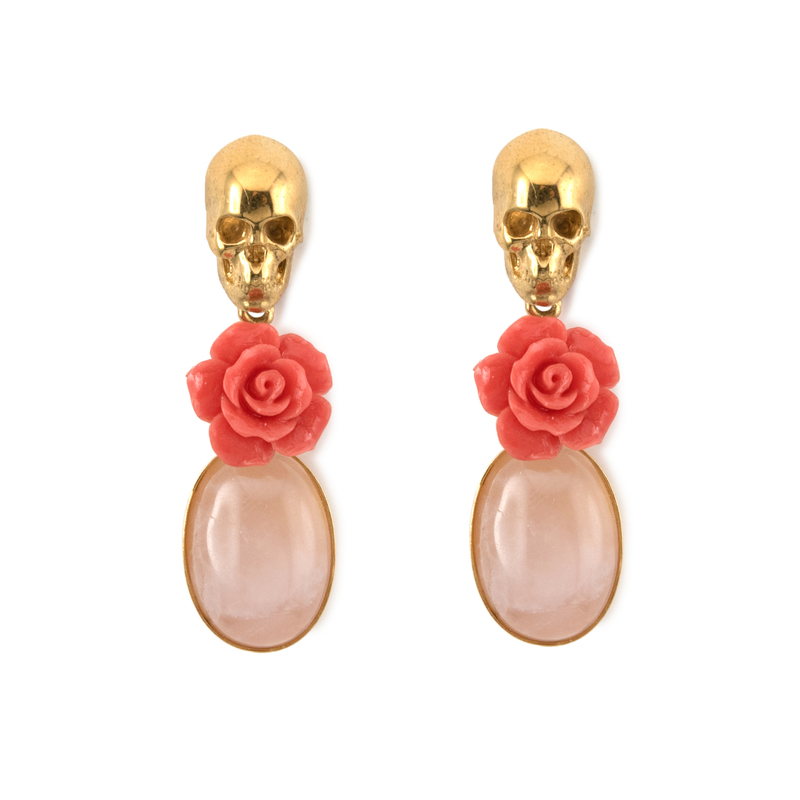 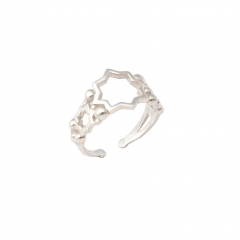 Part of the Skullmania collection, comes another distinctly feminine yet edgy earrings. 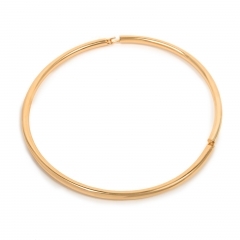 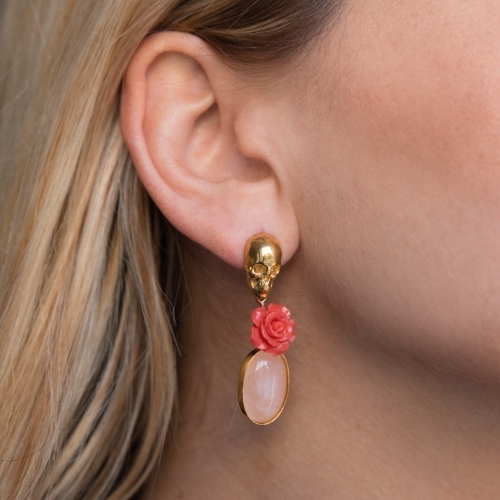 These bespoke earrings are crafted in brass (pin and butterfly are in sterling silver) and plated in 22k yellow gold. 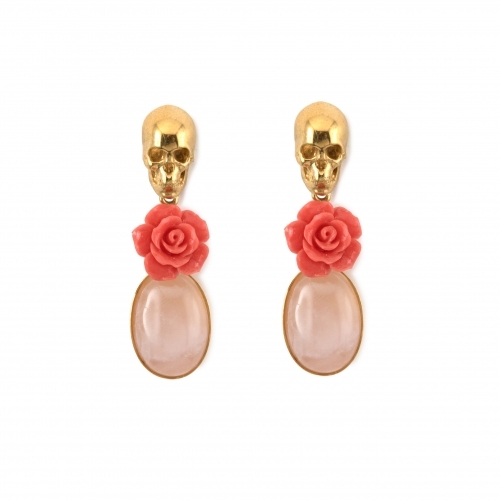 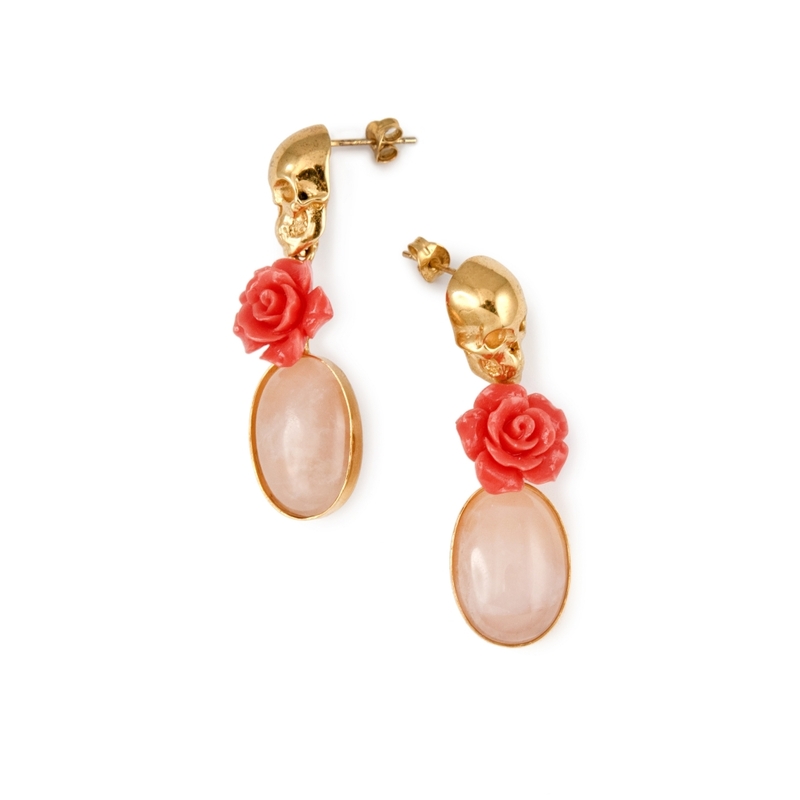 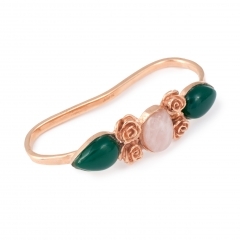 The rose is pressed coral and the drops are set oval cabochon rose quartz semi-precious gemstones.